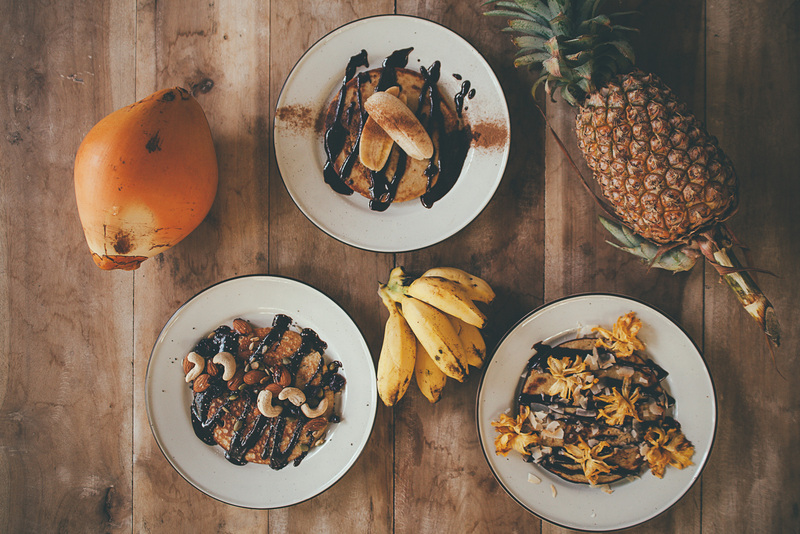 Here at Ceylon Sliders, we love to try out new recipes with the variety of fresh produce that is on offer in Sri Lanka. It also helps that we have an incredibly talented and passionate Chef, Diana, who enjoys nothing more than creating, cooking and baking new wholesome meals. 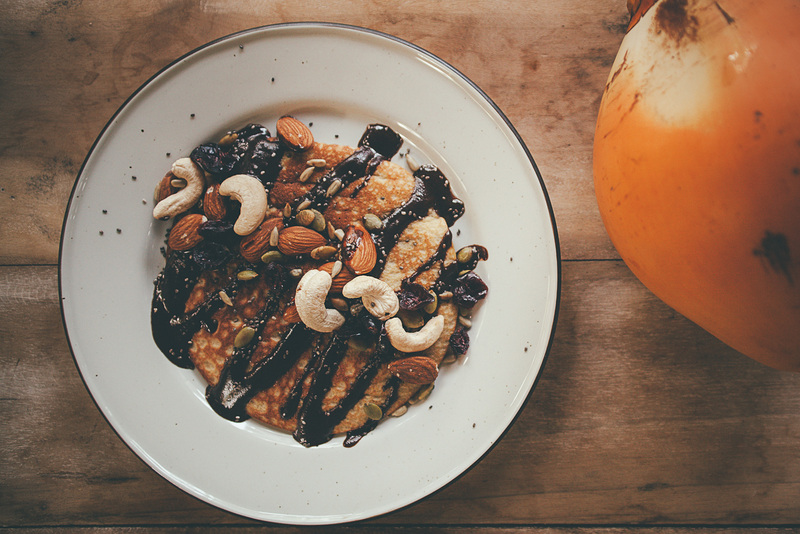 This week she tried coconut pancakes, one of our favourite breakfast choices and a popular dish across Sri Lanka. 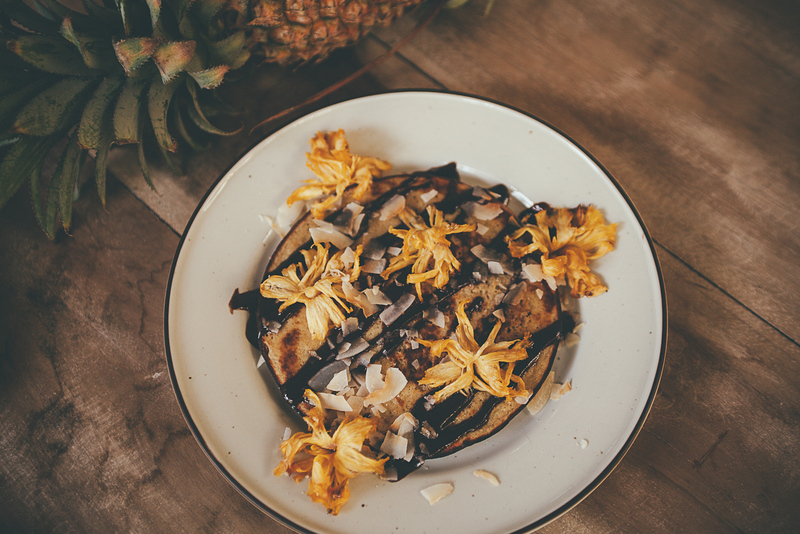 Not only were the pancakes delicious, but Diana used most of the coconut, from the coconut oil to the coconut milk, which means they are as sustainable as they are scrumptious. 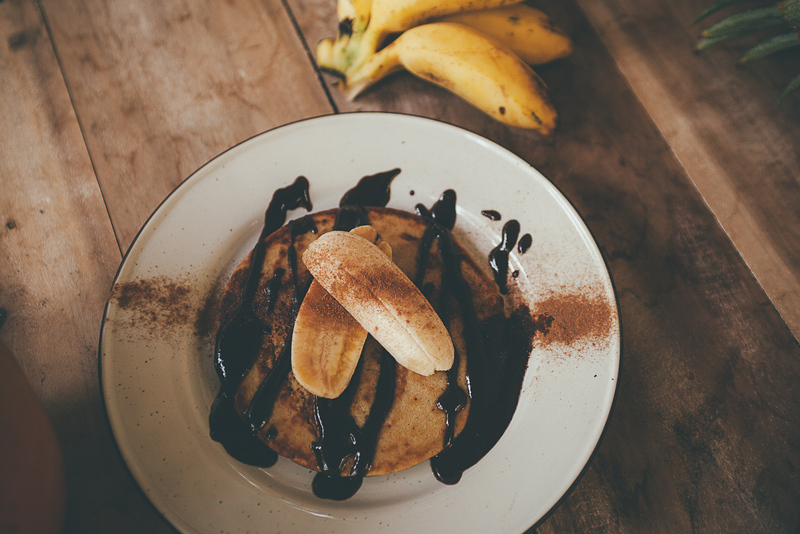 For the pancakes, start by mixing the coconut oil with the treacle in a large bowl. Add in the eggs and beat well. Then, stir in the coconut milk, followed by the dry ingredients; the flour, baking soda and pinch of salt. The mixture should be homogeneous. Next, grease the bottom of a small pan with coconut oil and put it over medium heat. Pour approximately 1/2 cup of the pancake batter and cook over low to medium heat for 2-3 minutes. Flip the pancake and cook for another minute on the other side. Repeat this process until you have no more batter left. 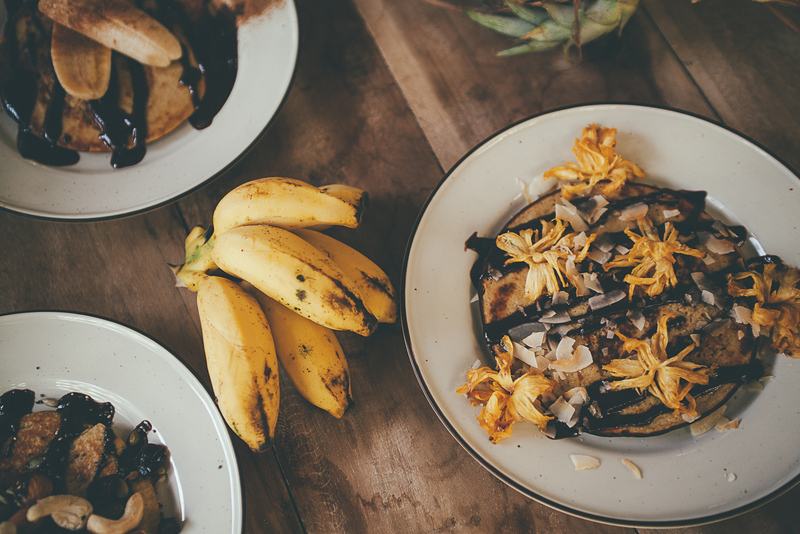 Serve with the cacao sauce and your choice of toppings. This recipe yields approximately 3 medium size pancakes. For the cacao sauce just mix all ingredients at room temperature. If your coconut oil is solid, melt it first. 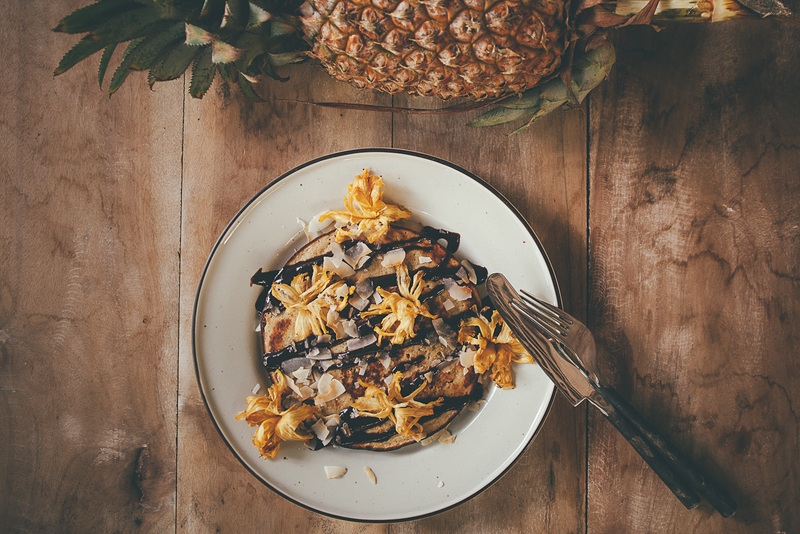 Suggested toppings to decorate your pancakes: nuts, seeds, pineapple flowers, coconut chips, fresh fruit, cinnamon.